The altitude in Colorado raises different roofing challenges than in states situated at sea level and requires roofs to meet some standards to withstand the climate, which often consists in sun exposure, ice dam formation, snow and wind. Some parts of the state experience winds at around 100 miles/ hour that may cause major damage to roofs that are not installed properly or made from resistant materials. Composition shingles are a modern roofing material featuring fiberglass, mineral fillers, asphalt and ceramic granules embedded on the top surface, for extra protection. A composition roof installed by Colorado Springs roofing company experts provides many advantages compared to common asphalt shingles and even to expensive roofing materials such as metal and stone coated metal shingles. 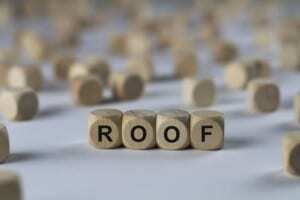 Composition shingles are among the most affordable types of roof coatings. They are also easy to replace, which also reduces the repair costs. They are very durable, having a significantly longer lifespan than asphalt shingles (50 years, compared to 15-20 years). Composition shingles provide very good protection against UV rays, they are fire resistant and prevent the growth of vegetation on the roof. They are also energy-efficient. From an aesthetic perspective, this roofing material comes in many styles, textures and colors, which make it suitable for different types of Colorado buildings.